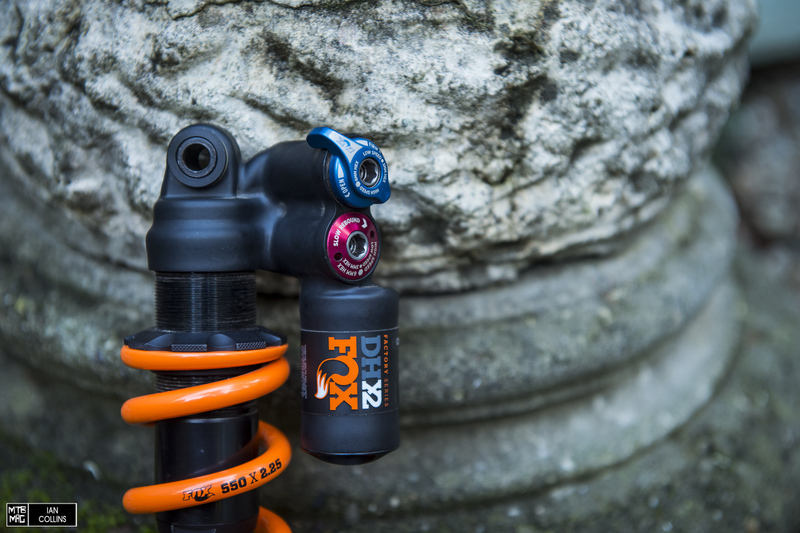 Fox makes two gravity oriented rear dampers – the Float X2 and the DHX2. The former is air sprung and the latter(tested) is coil sprung with their new SLS spring, a fairly inexpensive super lightweight steel alloy that’s just about on par with a ti spring in terms of weight. Both air and coil units are available in the two sizes listed above – conveniently, they are two of the more common configurations for some of the most popular mid travel(150-170mm) bikes on the market. We have a feeling that more sizes will become available in the future as well. Anyhow, read on to see how this little unit has held up to the last few months of abuse. Admittedly, when we first bolted this damper up to our bike, we’d already ridden the bike with another coil sprung shock after coming off of its stock air sprung shock. The good thing about this is that it was easier for us to draw comparisons and look at this shock objectively. 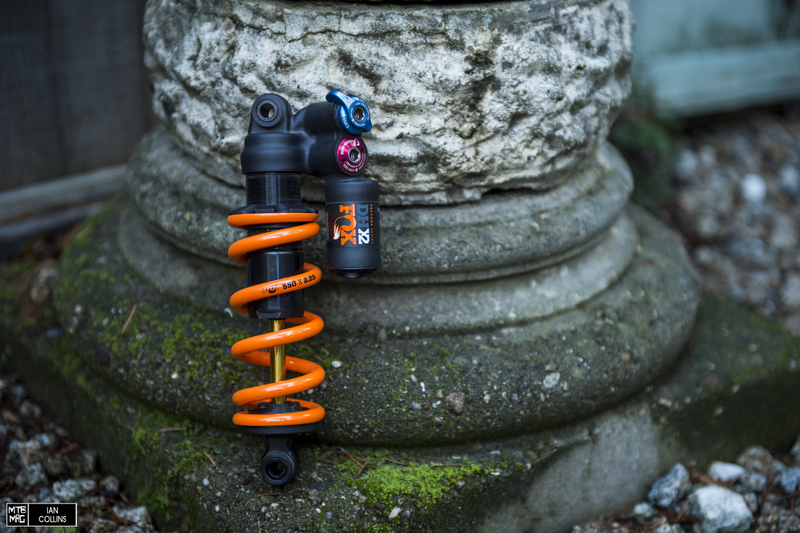 We were already blown away by how much better our bike performed with a coil shock compared to an air shock and we think that over the next couple of years we will see a surge of developments in coil shocks for mid travel bikes. We started out with the recommended settings per our contact from Fox. However, a pretty handy tuning guide can be found here. There is a massive range of adjustment at your fingertips within both high and low speed adjusters for rebound and compression; they are easily fine tuned with a 6mm and 3mm allen key respectively. 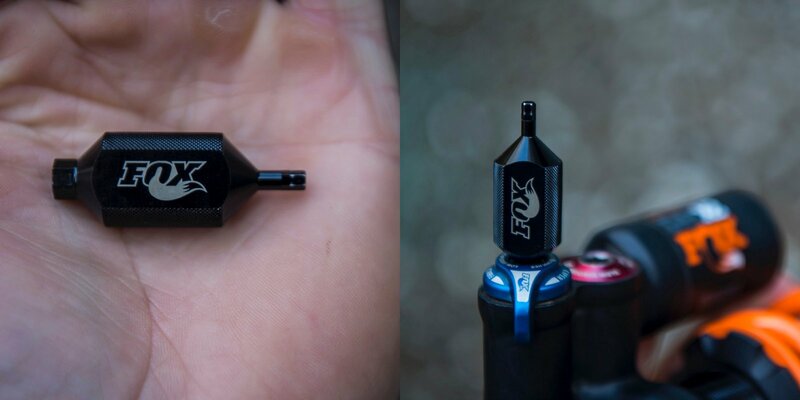 Fox gave us a nifty little tool which made on the fly tuning a bit less tedious. It’s best to be really dilligent and take notes while you’re setting up the damping. Anyhow, the stock settings felt quite good in the parking lot so it was off to get this thing dirty. One of the first things we noticed was just how freakishly quiet this shock is; perhaps the most silent shock we’ve tested. Although that isn’t the most important attribute, it’s safe to say that it indicates high quality construction and a well thought out design. Once we got into the rough bits we were quite impressed with how composed the shock was, no funny behavior…just super predictable, controlled action. Switching from an air shock to a coil on a fairly progressive trail bike does unlock a great deal of potential in general. The ability to have a lockout at your finger tips without losing adjustments is incredible. 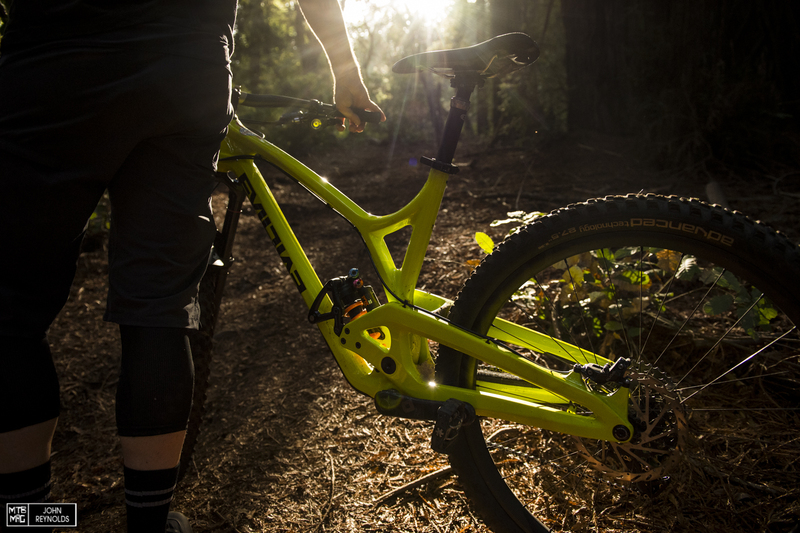 Fox should be lauded for the fact that this unit offers more adjustments than any other rear shock on the market. Right away we appreciated the increased traction it provided. Higher performance in the high speed, mid sized hits are noticeable right away as the shock can react quicker due to less seal friction as well as lower internal operating pressures – even compared to other coil shocks. Big hits and mid stroke support are a bit of a mixed bag as air shocks offer a great deal more progression and bottoming resistance in general. 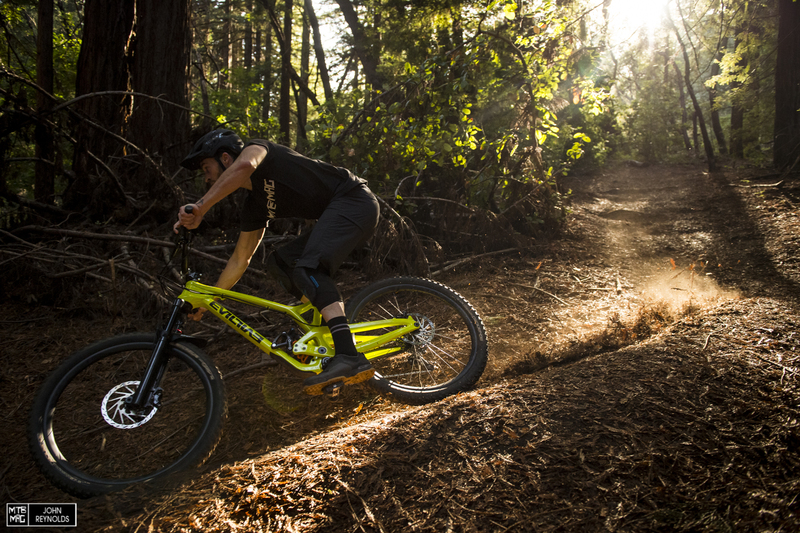 The DHX2 has a bit of a linear feel compared to other coil shocks on the market so we aren’t sure how well it would pair with a single pivot bike that has a really linear rate. Perhaps a Float X2 with lever would be better suited to a bike like that. With that in mind, the coil version paired really nicely with our Evil Insurgent and its rising rate linkage. If we had to come up with something to criticize on the DHX2, oddly enough it might be the bottom out bumper. While the shock rode incredibly well on our particular bike, under huge hits the bottom outs were noticeable and didn’t have a seamless transition. If you have a bike with a more linear rate this might be exacerbated. 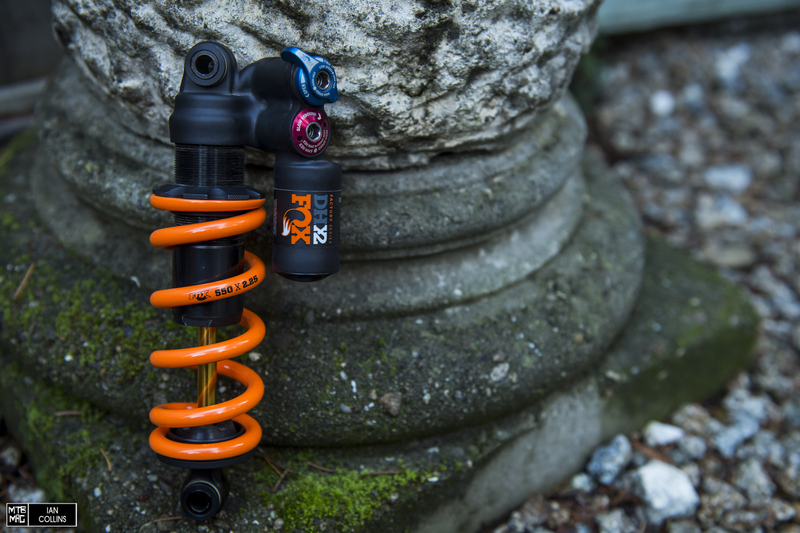 Compared to some other shocks on the market, the DHX2 features a fairly small bumper and we feel they could benefit from beefing it up. Our 7.875 x 2.25(200mm X 57mm) shock weighed about 725 grams with the SLS spring, which puts it at about 350 grams heavier than our stock air shock. So is a $599 price tag and a modest 3/4 pound weight increase worth it? Absolutely. The lockout is brilliant, providing a much better feel and more traction while climbing compared to an air shock. You also get to keep your massive range of adjustment and tunability. 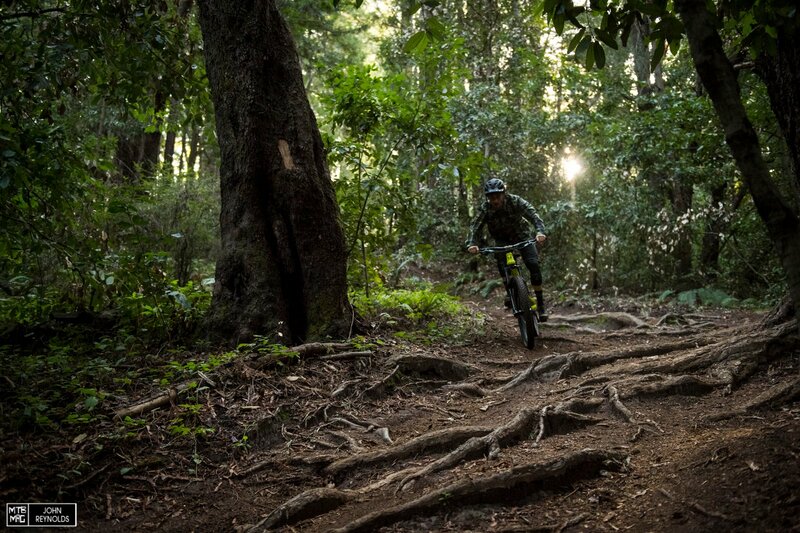 The DHX2 has held up incredibly well over the last 6 months and is running as good as new. Speaking of wear, something that could easily be overlooked is Fox’s brilliant hardware system which is nicely sealed and hasn’t developed any play whatsoever. Smooth, quiet, controlled and trouble free. This is a great upgrade to a mid travel bike if you’re looking to push your bike’s limits just a bit harder.